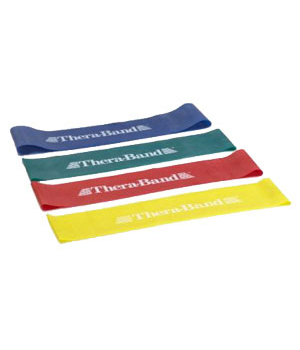 Use the Thera Band Resistance Band Loop for resistive exercises. Our resistance band loops provide both positive and negative forces on the muscles, improving strength, range of motion and cooperation of muscle groups. Color-coded progressive resistance gives at-a-glance choices on which one to use. Love it, I will buy more colours!